Virtual reality in education ..... Is it really worth it? There can be no arguments that virtual reality (VR) hasn't come on in leaps and bounds in recent decades. This is especially the case in recent years with the mainstream commercialisation of VR headsets within the gaming industry, with the likes of the Oculus Rift and Playstation VR. From my own personal experience of using VR equipment (Playstation VR and Gear VR) I can appreciate the improvement in recent years and also see the potential that will take VR to the next level. A rich market for VR headsets that sees a lot of potential is the education sector. A big attraction is its ability to take children out of the school environment without the restrictions of financial or safety concerns. A well-known app with this very concept in mind is Google expeditions. This is a free app that requires a smartphone and a cardboard box available for under £30. As well as an immersive experience VR also provides a safe environment for skills training so children can get the basic concepts of what is required of them before they even put their hands on any equipment. As well as the safety benefits, an experiment carried out by Google’s Daydream labs found that there was an improvement in learning as well, in comparison to children who were merely shown video tutorials (in this case the skill of using a coffee machine). VR can also be used as a platform to express creativity in either design or architecture. Architects can now take 3D designs and bring them to life using VR allowing children to take a more realistic view of buildings and feel immersed rather than viewing an image off the internet. This immersion and excitement gained from the unusualness of using VR in the classroom, with children who may have never used a VR headset before, has also side benefits of increasing attentivity in the classroom in a much more hands-on approach than has become the norm. One could argue the use of VR in special education is even more exciting and beneficial as it opens up the possibility for the children to escape, if even for a short while, their troubles. There is evidence supporting this notion as lessons involving meditative virtual reality apps, like the Google expedition aforementioned, tend to have a calming effect on students. My own personal experience using a similar app 'perfect' on the Playstation VR leads me to agree with these findings as my immediate thoughts after experiencing these locations were of the potential benefits for counselling. Despite all that I have said in favour of virtual reality I will hold my hand up and say there's still a way to go to improve the technology and prices need to drop before schools will become happy to buy VR headsets in bulk. 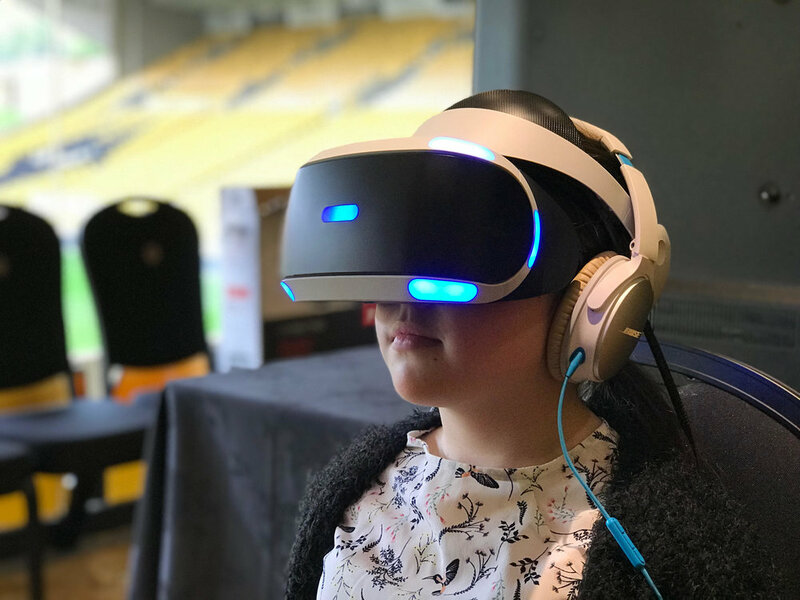 However, the potential benefits are there and while it may be more beneficial to some children than others we owe it to them to explore the role VR can play in improving education for the future.